Almost ten years ago, when the kids were still in elementary school and I was two years into what would be a long period of working independently in my home office, a situation that my wife had enjoyed already for eight years, I wrote a column for The Christian Science Monitor about my situation. As I rise in the early morning, I often imagine a farmhouse in a small, agricultural community, perhaps in Maine 80 years ago. This imaginary farm provides the means for the family’s getting by. The chickens give up eggs; the cows, milk; and the soil, vegetables. Well-tended, the farm generates income at market as well as sustenance at home. It is the economic engine of the family. All hands work at making it run. Our own house is like that farm, updated for the early 21st century. Instead of milking the cows, I fire up my screen and scan the night’s e-mail. Instead of harvesting the turnips, my wife drafts a new report for a client. Instead of feeding the chickens, the kids could collate a mailing (admittedly a rare occurrence). All of this puts food on the table. And it all happens at home. . . .
Xenophon, “history’s first professional writer” according to one classics professor, was born in Athens around 430 BC. His Oeconomicus is influential. It is a housekeeping manual, a discussion between the immortal Socrates and another man, concerning the best way to keep an estate. In this work, the two agree that it is “the business of the good economist to manage his own house or estate well.” It is from this household care manual that we get the word “economics.” It’s about the inflows and outflows that go into keeping a home. Seen this way, “home economics” is redundant: Economy is about the home to begin with. Now, with daughter at college, son considering, and parents retired, I find I want to double down on this way of thinking. We live in uncertain times. They are made all the more uncertain by social norms that dictate young people should grow up and get out, that as seniors age they should seek out “retirement communities” where they can live with others like themselves. I want to be a countervailing force. I want my house to be, and remain, an intergenerational beacon. I want my wife’s mother to choose to live with us in retirement. 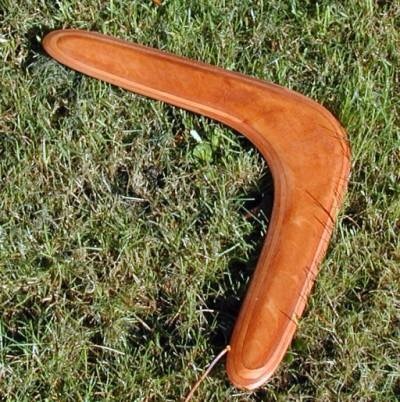 I want my kids to boomerang back home, not in failure but by choice. Or, at least, I hope for those concerned to see this as a viable and desirable alternative. So much research points to the benefits of intergenerational connections, and yet our social structures tell us that “moving back home” (both for old and young) is to be avoided. What if it were the norm? It is, after all, why humans choose to cohabit and live in company: to thrive and be secure. Why should a modern life obviate this evolutionary imperative? In my ideal fantasy, multiple generations live in our 21st century farmhouse, supporting one another, providing the social network and glue that help us thrive. And — hope of hopes — this ethos gets passed on so that my kids feel the same way, welcoming both their parents as well as their adult children to continue to thrive together as we row our lifeboat through the currents. Previous Previous post: Immigration: Stalemate or Progress?